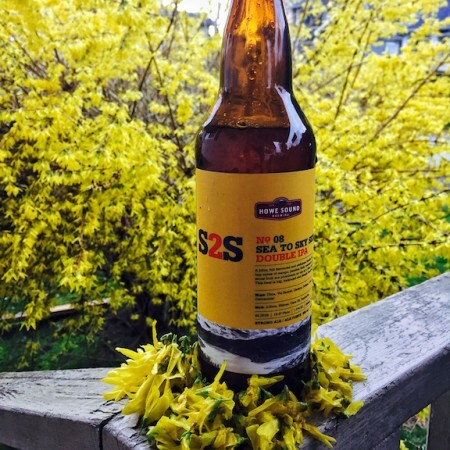 SQUAMISH, BC – Howe Sound Brewing has announced the release of two IPAs for the spring season. A juicy, full flavoured and delicious Double IPA. Hop notes of candied orange peel, watermelon, nectarine, ripe berry, passion fruit, rose petal, and resin are forefront on top of a clean malt profile. This beer is big balanced and simply beautiful. Hazy Daze North East IPA is packed full of as many hops as we could get in it. Brewing techniques, the use of malted oats, and a massive dry hop give this IPA big tangerine, grapefruit, nectarine, melon, guava, mango peel, sweet white grape must, and berry notes. This beer is completely focused on hop flavour and aroma and best enjoyed as fresh as possible. Both beers are available now in 650 ml bomber bottles at Howe Sound and select liquor stores in British Columbia.